Westerville, OH, September 26, 2016 — The Woda Group, Inc. is pleased to announce it has begun construction on its Cavalier Greene development located in Corunna, Michigan. The project involves the adaptive reuse of the historic Shiawassee Street School located in the heart of downtown Corunna. Once completed, the former school will be transformed into a well-appointed and energy efficient 40-unit apartment community. The primary source of funding for the adaptive reuse project is tax credit equity from the Low Income Housing Tax Credit (LIHTC) program. The Shiawassee Street School was originally constructed in 1908. The property’s historic features will be preserved and restored to their original splendor. A new addition will be added to the former school building so that, once completed, Cavalier Greene will provide 10 one-bedroom and 30 two-bedroom apartment homes. Each apartment will feature many amenities including full kitchens with ENERGY STAR rated appliances, washers and dryers, overhead lighting fixtures and uniform window coverings. Cavalier Greene will also have a wealth of site amenities including a community recreational room with kitchenette, an on-site management office, computer room, exercise/fitness facility, laundry room, a playground as well as a picnic area. The Michigan State Housing Development Authority allocated approximately $540,000 in annual low income housing tax credits for the development. 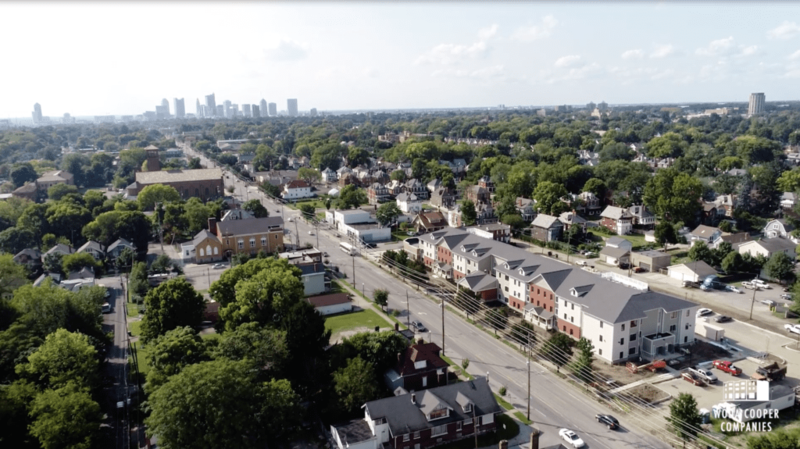 City Real Estate Advisors is investing approximately $5.6 million in equity in return for the low income housing tax credits, and $950,000 in return for Federal Historic Rehabilitation Tax Credits. Citizens Bank is providing construction financing of approximately $6.5 million and is providing permanent debt financing as well. The Woda Group, Inc. and its affiliates are experienced developers, general contractors, and property managers specializing in the design, construction, and management of affordable multi-family apartments, senior communities, and single family homes. Considered leading experts in the affordable housing industry, the Woda team is known for producing and maintaining high quality affordable housing. Affordable Housing Finance Magazine has ranked The Woda Group, Inc. 7th overall among Affordable Housing Developers and 38th overall among Affordable Housing Owners in their April/May 2016 issue. The Woda Group, Inc. has developed and currently manages over 200 communities and over 9,000 units. The Woda Group, Inc. has offices in Westerville, Ohio; Annapolis, Maryland; Savannah, Georgia; Shelbyville, Kentucky; Norfolk, Virginia; Indianapolis, Indiana; and Mackinaw City, Michigan. For more information, call (614) 396-3200 or visit www.wodagroup.com.